As soon as you receive the queens, put a drop of water on the ventilation holes of the cage so that the attendant bees can rehydrate, also will dissolve the candy more easily. The queen in the cage can survive without any problems for a few days, but it should be kept in a quiet place at room temperature. It is not a problem if, during this period, some attendant bees will die. – the presence of mated queens, virgin queens, queen cells, larvae or eggs. For a good acceptance percentage, we recommend a 8 days queenless period, along with the removing of all the new created queen cells. When realize there is no chance of surviving, the bees will gladly receive the new queen. It is best to hang the queen cage from a top bar (in the middle of the brood), then break away and remove the tab on the end of the queen cage to expose the fondant and provide access for the bees. You can check for result in 5-6 days and don’t have to find the queen, the presence of eggs is enough to confirm she is there. DURING THIS PERIOD DO NOT DISTURB THE COLONY UNDER ANY CIRCUMSTANCE! As a second queen introduction method, with a higher success rate, is using a “push in” cage to give the queen the opportunity to lay immediately. The only inconvenience is the manual handling of the queen which makes it suitable only for beekeepers with a smaller number of colonies. Select an area containing brood ready to hatch, empty cells and honey cells and while placing the cage on the comb, take care not to let any bee inside. The bees hatching inside the cage will be the only ones who will come in contact with the queen. After 4 days, the queen should be laid in the empty cells. 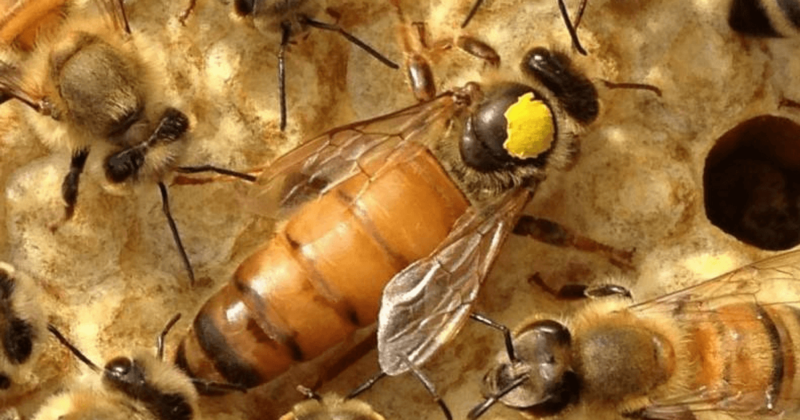 If, along with the presence of the eggs, you notice a calm behavior, and the bees are uninterested in getting into the cage, you can free your queen without worry. If you notice that after that 4-day period, the bees are struggling to get in the cage with a angry behavior, means that one of the above conditions has not been met, and the chances of acceptance are significantly low. In this situation, it is necessary to search again for queen (virgin or not mated) or queen cells. In practice you can find the situation where the colony is superseding the queen and both queens are present in the hive (old queen and new queen). By removing only one queen, the introduction will be a failure. When introducing a queen from a different race, initially the bees will accept her, but after it starts to lay, often happens that the bees to try to supersede it although she performs well. It is necessary to check periodically for existence of queen cells and remove them until the old bee generation will be completely replaced by the bees of the new queen.